Mike Dawson is the creator of ohioelectionresults.com and is considered the leading expert on Ohio election statistics. From 1991 to 2006, he worked for both George V. Voinovich and Mike DeWine. Ohio Democratic Party Chairman David Pepper was asked this past fall if Ohio was becoming a reliably red state. "This November will answer that question,” answered Pepper. 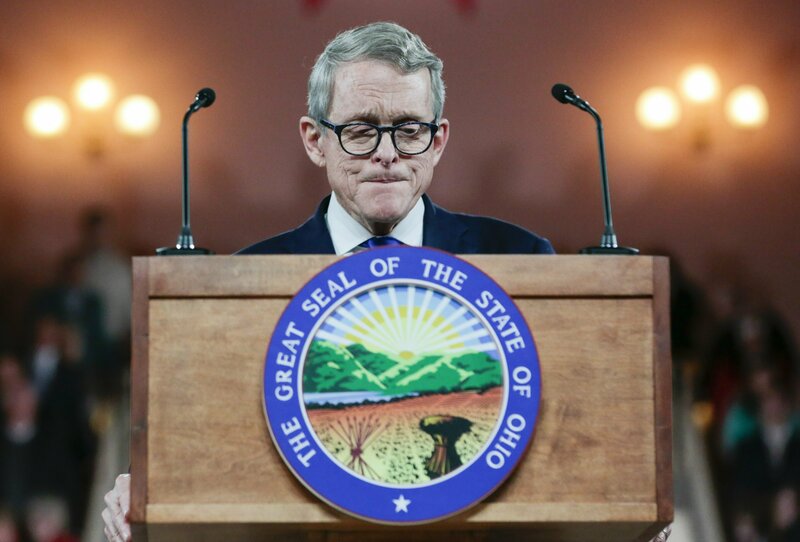 For the seventh time in eight elections, Ohioans elected a Republican governor. GOP candidates swept all five statewide executive offices for the sixth time in seven elections. Between 1970 and 1990, Democrats won 22 of 27 (81.5 percent) of the executive offices. Since 1990, Republicans have won 33 of 41 (80.5 percent). For well more than a century, Ohio not only voted most often of any state for the winning presidential candidate (28 of 30 times between 1896 and 2012) but it also deviated the least of any state from the national, two-party voting average. That run is over. Ohio now votes like a red state. The people running presidential campaigns should study this trend closely before deciding how much time — and how much money — to invest in the Buckeye State. And it is a cautionary tale for Ohio’s most popular Democrat, Sen. Sherrod Brown. The situation is all the more surprising because, from all appearances, 2018 was setting up to be a good year for Ohio Democrats. Quality, well-funded candidates lined up to challenge Ohio Republicans in statewide elections. Democratic turnout was extremely high for a midterm election. In congressional races, Democrats received 97 percent of the votes in 2018 that they did in 2016, an unusually high percentage. By comparison, Republicans received only 77 percent of their 2016 vote. So, there actually was a blue wave in Ohio. If the wave fell short in Ohio, it explains why it looks increasingly difficult for Democrats to compete in Ohio’s presidential elections: GOP contenders begin with a big head start. In 2016, in his race against Hillary Clinton, Donald Trump performed a whopping 5.4 points better in Ohio than he did nationally. That’s not supposed to happen in a battleground state. For Ohio Democrats, the lone bright spot now is Brown, a third-term senator with a populist bent. Yet even his vote totals reveal in their own way the state’s inexorable right turn. Brown won Ohio in 2006 with 56.2 percent of the vote. That percentage fell in 2018 to 53.4 percent. In the culturally conservative hills of southeast Ohio, Brown’s percentage declined in the elections since 2006 by 13.7 points. In rough-and-tumble Youngstown, a once reliably lunch-pail stronghold, his percentage declined by 15.2 points over that period. And although his numbers went up in Ohio’s six most populous counties by 4.2 points since 2006, they’ve declined across the remaining 82 counties — the broad swath of a state that once served as the nation’s premier bellwether — by 8.3 points.